Ivan’S Guitar is a fast growing Croatian guitar brand with a constant tendency to develop and progress. We also offer our ukulele brand Ivan’S UKE. Our main goal is to offer high quality products to meet today’s artist demands and at the same time offer them the best value for money. Our experienced team, constantly works on development of new, innovative instruments. Quality wood selection, high ratio of handwork in production and strict quality control guarantees high value products. Ivan’S Guitar also offers guitar bags and cases and ukulele bags. All our products are fully covered with an unlimited two year guarantee! Join our distribution network to become a part of Ivan’S family. Ivan’S Guitar and Ivan’S UKE are distributed worldwide. Canorus is a Croatian brand that offers a wide range of quality wind instrument products: trumpets, trombones, saxophones, clarinets, flutes, euphonium, french horn, flugelhorn. All products are made only from carefully selected high quality materials. Design, size and price is primary targeting beginners and students, but even experienced professionals will be satisfied with it’s quality. All our products undergo a strict factory procedure of safety and quality control which ensures that the end customer gets only safe and high-quality product. Join our distribution network to become a part of Canorus family. Bwing is a Croatian brand that offers a wide range of quality bowed instruments (violin, viola, cello and double bass). All products are made only from carefully selected high quality materials and our mission is to offer best value for money. Each instrument is crafted utilising the same traditional methods as used on high-end bowed instruments. Design, size and price is primary targeting beginners and students, but even experienced professionals will be satisfied with its quality. All our products undergo a strict factory procedure of safety and quality control which ensures that the end customer gets only safe and high-quality product. Join our distribution network to become a part of Bwing family. LION STYLE is a musical instruments & accessories product trademark from Croatia that innovate and provide high-quality products such as: cables, connectors, bags and cases, piano benches, stands, tuners & metronomes, drumsticks, marching, percussions and accessories. Our mission is to build a brand that creates representative and innovative products, listens to the consumers and quickly respond to their needs. All our products undergo a strict procedure of safety and quality control which ensures that the end user gets only safe and high-quality products. All our products are fully covered with an unlimited two years guarantee! Join our distribution network to become a part of Lion Style family. Lion Style is distributed worldwide. Slavonka is a brand of traditional Croatian instrument called tamburica. All our instruments are handmade in Croatia, and that makes us very proud. The instuments are designed in a traditional manner and made in collaboration with musicians who as the end users are very important in the creating process of our instruments. We offer: bisernica (prima), brač (basprim), bugarija (kontra), cello and tamburaški bas (berda). Slavonka instruments are perfect for beginners and music students, cultural artistic societies, professional orchestras and bands. Join our distribution network to become a part of Slavonka family. Yamaha is one of the world leaders in production of musical instruments (pianos, digital musical instruments, wind instruments, string instruments, percussion instruments, educational musical instruments, professional audio equipment and commercial audio equipment). Euro-Unit is a general distributor of Yamaha for Montenegro and the only authorized distributor of complete Yamaha assortment for Croatia. Bösendorfer, one of the oldest piano manufacturers. This Austrian company was established in 1828 by Ignaz Bösendorfer, and it’s since 2008, a wholly owned subsidiary of Yamaha. Euro-Unit is a general distributor of Bösendorfer for Croatia, Serbia, Bosnia and Herzegovina, Montenegro, Macedonia, Kosovo and Albania. Hohner is a German company founded by Matthias Hohner in 1857. They specialized completely in the development and manufacturing of harmonicas, accordions, melodicas, block flutes and children instruments. For decades, Hohner has been the worldwide market leader in the area of harmonicas and accordions and regularly sets new standards for quality and innovation in these fields. Euro-Unit is a general distributor of Hohner for Croatia, Serbia, Bosnia and Herzegovina, Montenegro, Macedonia, Kosovo and Albania. Beyerdynamic is a German audio equipment manufacturer, which produces microphones, headphones, wireless audio systems and conference systems. The company has a long tradition of manufacturing high-quality, professional electronic devices and components whose innovations have been accepted by other manufacturers from the same industry segment. Euro-Unit is a general distributor of Beyerdynamic for Croatia, Slovenia, Serbia, Bosnia and Herzegovina, Montenegro, Macedonia, Kosovo and Albania. MIPRO specializes in the designing and manufacturing of professional wireless microphone systems and wireless PA systems. It offers top-of-the-range wireless microphones, microphones for musical instruments, portable wireless PA systems and accessories, including cables, connectors, bags, microphone stands and spare parts for wireless audio transmission. Euro-Unit is a general distributor of MIPRO for Croatia, Slovenia, Serbia, Bosnia and Herzegovina, Montenegro, Macedonia and Kosovo. QSC is an American manufacturer and globally recognized leader in the design and engineering of high performance audio/video products including power amplifiers, loudspeakers, digital mixers, digital signal processors (DSP) with almost fifty years of tradition. Euro-Unit is a general distributor of QSC for Croatia, Slovenia, Bosnia and Herzegovina, Montenegro, Macedonia, Kosovo and Albania. FBT means high quality Professional Sound Products made in Italy since 1963. FBT is now a leading industry at national and international level. A long high varied experience ranging from Professional Audio Equipment, through Audio Contractor installed sound systems. Euro-Unit is a general distributor of FBT for Croatia and Montenegro. Ortega is a modern German company that relies on tradition and quality of classical Spanish guitar makers. The company offers high-quality classical guitars, ukuleles, mandolins, banjos, acoustic basses, handsfree percussion and useful accessories for the modern musician. Euro-Unit is a general distributor of Ortega instruments for: Croatia, Slovenia, Serbia, Bosnia and Herzegovina, Montenegro, Macedonia, Kosovo and Albania. PRS Guitars also known as Paul Reed Smith Guitars is American based manufacturer of electric guitars, acoustic guitars, basses and accessories. The company was founded in 1985. by guitarist Paul Reed Smith and since then has a reputation as a manufacturer of high-quality electric guitars made in the USA. They are also known for their custom made signature artist guitars. Euro-Unit is PRS Guitars general distributor for Croatia, Slovenia, Serbia, Bosnia and Herzegovina, Montenegro, Macedonia, Kosovo and Albania. Fender is one of world’s best known guitar and amplifier companies. Since 1946, Fender’s iconic Stratocasters, Telecasters and Precision & Jazz bass guitars have transformed nearly every music genre. Euro-Unit is Fender Premium Dealer for Croatia. Squier is a well-known brand of electric and bass guitars owned by Fender since 1965. The market for Squier was reactivated in 1982 when Fender decided to produce and sell lower priced versions of its more expensive electric and bass guitar models. Squier has its market and it’s very popular today. Euro-Unit is Premium Squier Dealer for Croatia. Gretsch Guitars is an American company that manufactures guitars and basses. Its tradition goes back to 1883 when Friedrich Gretsch started the company in New York by. Gretsch went on to become one of the most prominent manufacturers of American musical instruments, and their guitars are loved all around the world. Euro-Unit is Gretsch Guitars Premium Dealer for Croatia. Jackson Guitars is a manufacturer of electric guitars and electric bass guitars that bears the name of its founder, Grover Jackson. Randy Rhoads models, the 1980s spawned distinctively designed Jackson models such as the Soloist, King V, Kelly, and the Dinky, all of which remain icons of the brand. Euro-Unit is Jackson Guitars Premium Dealer for Croatia. Thomas Eich built his first loudspeakers for customer orders at the tender age of 13. This laid the basis for his successful owner-managed company. Eich is today a very respectful and well-known bass amplifier company know for its German quality and crystal clear sound. Euro-Unit is Eich’s Premium dealer for Croatia and Montenegro. JOYO is a company specializing in manufacturing of guitar equipment. Their main products include: effects pedals, guitar amplifiers, metronomes, tuners, wireless systems, audio cables, and portable power supplies. Euro-Unit is a general distributor of JOYO for Croatia, Slovenia, Serbia, Bosnia and Herzegovina, Montenegro, Macedonia, Kosovo and Albania. Line 6 is a manufacturer of guitar amps, multi-effects, guitars, effects pedals, wireless systems, software & apps and audio interfaces. They are known by its quality products and innovations such as Relay digital wireless technology, Helix LT guitar processor and modern Variax Shuriken electric guitar with advanced Variax HD technology. Since December 2013, it has been a wholly owned subsidiary of Yamaha Corporation. Euro-Unit is Line 6 Premium Dealer for Croatia and Montenegro. Schilke Music Products is US company, founded in 1956, offers the highest quality professional line trumpets, trombones and brass instrument mouthpieces in the world. Euro-Unit is a general distributor of Schilke for Croatia, Bosnia and Herzegovina and Montenegro. 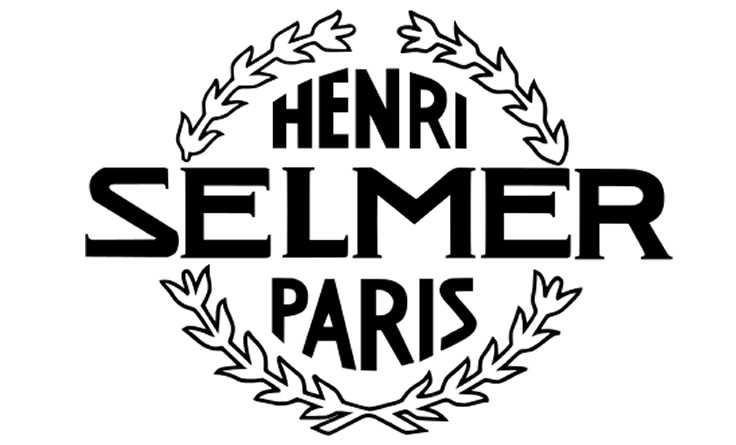 Henri Selmer Paris company is a French-based international family-owned enterprise, manufacturer of musical instruments based at Mantes-la-Ville near Paris, France. Founded in 1885, it is known as a producer of professional-grade woodwind and brass instruments, especially saxophones, clarinets and trumpets. Euro-Unit is a general distributor of Henri Selmer for Croatia, Bosnia and Herzegovina and Montenegro. Buffet Crampon is a famous French manufacturer of woodwind musical instruments: clarinet, saxophone, oboe and bassoon. They are best known for their high-quality clarinets. Euro-Unit is a general distributor of Buffet Crampon for Croatia, Bosnia and Herzegovina and Montenegro. The French brand of brass instruments Besson, produces high-quality trumpets, trombones, horns, tubas and accessories. Besson is a part of the Buffet Crampon Group. Euro-Unit is a general distributor of Besson for Croatia, Bosnia and Herzegovina and Montenegro. B&S is part of the Buffet Crampon Group and it’s known for the German tradition in the production of trumpets, trombones, tubas, cornets, flugelhorns, horns and accessories for its instruments. Euro-Unit is a general distributor of B&S for Croatia, Bosnia and Herzegovina and Montenegro. Since 1789, Antoine Courtois is a synonym for top trombones, flugelhorns and saxophones. Antoine Courtois is a part of the Buffet Crampon Group. Euro-Unit is a general distributor of Antoine Courtois for Croatia, Bosnia and Herzegovina and Montenegro. Hans Hoyer has a tradition of making horns and tubas since the 19th century. All the instruments are 100% made in Germany. Hans Hoyer is a part of the Buffet Crampon Group. Euro-Unit is a general distributor of Hans Hoyer for Croatia, Bosnia and Herzegovina and Montenegro. Julius Keilwerth saxophones have been produced in Germany since 1925. Due to its quality and tradition, Keilwerth saxophone is a frequent choice of professional saxophone players. Julius Keilwerth is part of the Buffet Crampon Group. Euro-Unit is a general distributor of Julius Keilwerth for Croatia, Bosnia and Herzegovina and Montenegro. Melton Meinl Weston offers the perfection and quality in the design and production of bass trumpets, tubas, flugelhorns, horns and cimbassos since 1810. Melton Meinl Weston is part of the Buffet Crampon Group. Euro-Unit is a general distributor of Melton Meinl Weston for Croatia, Bosnia and Herzegovina and Montenegro. Verne Q. Powell has been the leading flute manufacturer since 1927. Their quality is recognized worldwide with the combination of old world tradition and new world design. Verne Q. Powell is part of the Buffet Crampon Group. Euro-Unit is a general distributor of Verne Q. Powell for Croatia, Bosnia and Herzegovina and Montenegro. Meister J. Scherzer represents the German tradition in trumpet making. They are proud of its 100% Made in Germany instruments and the company is a part of the Buffet Crampon Group. Euro-Unit is a general distributor of Meister J. Scherzer for Croatia, Bosnia and Herzegovina and Montenegro. W. Schreiber clarinets and bassoons have a long tradition. The combination of highly qualified specialists, first class tools and state-of-the-art precision machines guarantees instruments of the highest quality. They are part of the Buffet Crampon Group and proudly bear the name 100% Made in Germany. Euro-Unit is a general distributor of W. Schreiber for Croatia, Bosnia and Herzegovina and Montenegro. Pearl Musical Instruments was founded in Japan in 1946 by Katsumi Yanagisawa. Since 1968 they produce flutes that became a choice of many students and the world’s finest artists, because of its quality. Pearl’s tradition of innovation makes Pearl Flutes a global brand in the musical instrument industry. Euro-Unit is Pearl Flutes Premium Dealer for Croatia and Montenegro. Vandoren is a world leading manufacturer of mouthpieces and reeds for clarinet and saxophone, ligatures and wide range of accessories for clarinet and saxophone. Euro-Unit is a general distributor of Vandoren for Croatia, Bosnia and Herzegovina and Montenegro. D’Addario Woodwinds is a manufacturer of clarinet and saxophone reeds, clarinet and saxophone mouthpieces, ligature and caps, straps, reed guards, reed cases, and care products for all woodwind instruments. Brands include Rico, Royal, Reserve and Select Jazz and provide a full line of woodwind products for all levels from students to professionals. Euro-Unit is a general distributor of D’Addario Woodwings for Croatia and Montenegro. Légère Reeds manufactures premium synthetic woodwind reeds for Saxophone, Clarinet, Bassoon and Oboe since 1998. All reeds are proudly made in Canada. Euro-Unit is a general distributor of Legere for Croatia, Slovenia, Serbia, Bosnia and Herzegovina, Montenegro, Macedonia, Kosovo and Albania. 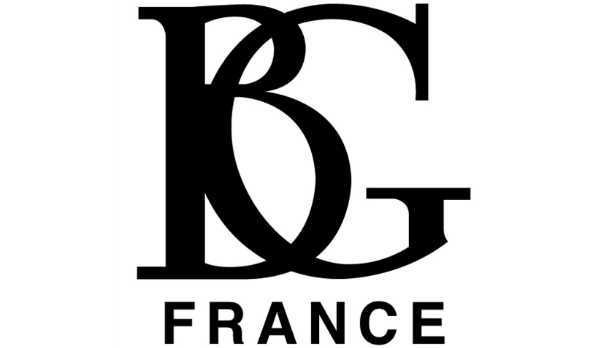 BG France was established in 1985 by Frank Bichon and it’s one of the first French producers of wind instrument accessories. They produce from midrange to professional level products including ligatures, straps, pads, stands, saxophone sets, heated pads, pillows and other cleaning accessories for wind instruments. Euro-Unit is a general distributor of BG France for Croatia and Montenegro. Ludwig is one of the world’s leading manufacturers of acoustic drums, drumkits, snare drums, drumheads, drum stands and thrones, marching drums, percussion, luggage and accessories for drums. Euro-Unit is a general distributor of Ludwig for Croatia, Slovenia, Serbia, Bosnia and Herzegovina, Montenegro, Macedonia and Kosovo. Since 1963 when it was found by Everett Joseph “Vic” Firth, Vic Firth company has been the industry leader in design, innovation, technology and education for the drumstick and mallet market. The right tools for the job, plus the resources to help you become a better player and better teacher. Euro-Unit is a general distributor of Vic Firth for Croatia, Bosnia and Herzegovina, Montenegro, Macedonia, Kosovo and Albania. Paiste is a Swiss-based Estonian manufacturer and designer of cymbals. It is the world’s third largest manufacturer of cymbals, gongs, and metal percussion. Euro-Unit is a general distributor of Paiste for Croatia, Bosnia and Herzegovina, Montenegro, Macedonia, Kosovo and Albania. Istanbul cymbals legend Mehmet Tamdeger is the original cymbal smith who is still today producing the world’s finest hand made genuine Turkish cymbals. Over 60 years of Cymbal-Making with the belief in the rich character of handmade cymbals… made in the ancient tradition… with ears for today’s music. Euro-Unit is a general distributor of Istanbul Mehmet for Croatia, Slovenia, Serbia, Bosnia and Herzegovina, Montenegro, Macedonia and Kosovo. Tycoon is a world-known producer of congas, bongos, and other percussion instruments. They are based in Thailand and use wood from sustainable sources to produce a range of hand drums and percussion. Euro-Unit is a general distributor of Tycoon for Croatia, Slovenia, Serbia, Bosnia and Herzegovina, Montenegro, Macedonia, Kosovo, Romania and Bulgaria. Adams Musical Instruments is a world’s largest manufacturers of percussion instruments based in the Netherlands. Adams is famous for: timpani, marimba, xylophopne, vibrafone, glockenspiel, chimes, and also brass instruments (trumpet, flugelhor, cornet, euphonium and tuba) and marching brass instruments. Euro-Unit is a general distributor of Adams Musical Instruments for Croatia, Slovenia, Serbia, Bosnia and Herzegovina, Montenegro, Macedonia and Kosovo. Marimba One is a maker of world-known marimbas, vibraphones and mallets. Designed and built 100% in California. Euro-Unit is Marimba One Premium Dealer for Croatia, Slovenia, Serbia, Bosnia and Herzegovina, Montenegro, Macedonia, Kosovo and Albania. Since 1965, Dunlop has been a well-known American and worldwide manufacturer of guitar gear, including guitar picks, effects pedals, WAH pedals, guitar strings, care and maintenance products, guitar straps, guitar capos, etc. Among others, Dunlop’s products are used by many of the world’s music stars: Slash, Billy Gibbson (ZZ Top), Joe Bonamassa, Ben Harper, John Petrucci (Dream Theater), Jerry Cantrell (Alice in Chains), Zakk Wylde, … while Jimmy Hendrix had the crucial role in Dunlop history by popularized the Cry Baby WAH pedal. Euro-Unit is a general distributor of Dunlop for Croatia, Montenegro, Macedonia, Kosovo and Albania. Mooer Audio is a manufacturer of guitar effects pedals. Their most know products are compact guitar effects pedals, called the Micro series and recently they introduced Mooer wah pedal called “The Wahter”. Euro-Unit is a general distributor of Mooer for Croatia, Slovenia, Serbia, Bosnia and Herzegovina, Montenegro, Macedonia and Kosovo. Morley is the name of a American guitar effects pedal company, famous for manufacturing wah pedals and other treadle type effects for guitars, such as mini pedals and volume pedals. Euro-Unit is a general distributor of Morley for Croatia, Slovenia, Serbia, Bosnia and Herzegovina, Montenegro, Macedonia, Kosovo and Albania. Euro-Unit is a general distributor of Red Witch for Croatia and Montenegro. Xvive is a young company that has become increasingly popular since market launch in 2012 with production of good quality and affordable guitar effect pedals. Euro-Unit is a general distributor of Xvive for Croatia, Slovenia, Serbia, Bosnia and Herzegovina, Montenegro, Macedonia, Kosovo and Albania. The history of string making behind the Savarez name dates back over two centuries, to 1770, when Savarez first started to manufacture strings in Lyon, France. From the 1880s the company began to produce silk and steel as well as bronze and brass strings. Today, Savarez has become a world leader in musical string innovation with superior research and development. Euro-Unit is a general distributor of Savarez for Croatia and Montenegro. 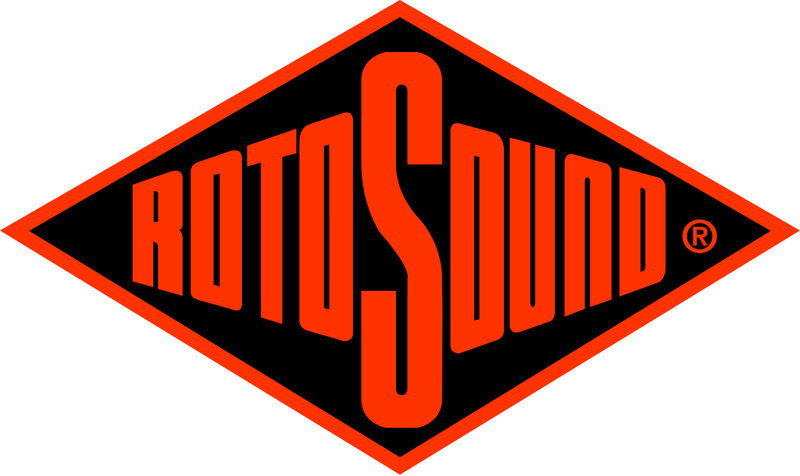 Rotosound is a British guitar and bass string manufacturing company formed in 1958 and based in Sevenoaks (Kent), United Kingdom. Notable Rotosound users were: Jimi Hendrix, Roger Waters (Pink Floyd), Brian May (Queen), Paul McCartney (The Beatles), Greg Lake (Emerson, Lake & Palmer), Cliff Burton (Metallica), John Entwistle (The Who) and many others. Euro-Unit is a general distributor of Rotosound for Croatia, Bosnia and Herzegovina, Montenegro, Macedonia, Kosovo and Albania. GHS produces a full line of strings for electric, acoustic and classical guitar, electric bass, banjo, mandolin and more. Their strings are often the first choice for many of the world’s most renowned professionals. All GHS strings are manufactured with one objective – to provide players with products that continually exceed their expectations. David Gilmour, Bon Jovi, Def Lepard, Allen Woody (The Allman Brothers Band), Goo Goo Dolls are just a few names that use GHS Strings. In addition to the strings, GHS produces guitar straps, polishing cloths, guitar gloss, guitar picks and full line of lubricants and cleaners for guitar and strings. Euro-Unit is a general distributor of GHS for Croatia and Montenegro. D’Addario is one of the worlds most known manufacturer of quality strings for electric guitar, electric bass, acoustic guitar, ukulele, mandolin, banjo, … with headquarters in american state of New York. Euro-Unit is a general distributor of D’Addario strings for Croatia and Montenegro. Thomastik-Infeld is an Austrian company founded in 1919, located in Vienna developing and producing strings and rosins for bowed and fretted string instruments. If you need the best strings for acoustic guitar, electric guitar, jazz or bass guitar, violin, viola, cello or double bass, Thomastik will be your first choice. Euro-Unit is authorised Thomastik dealer for Croatia.and Montenegro. A German manufacturer of strings for bowed instruments (violin, cello, viola, double bass), strings for harp and also quality rosin, care and maintenance products, shoulder rests. Pirastro is the only string manufacturer worldwide to produce strings made of all three core materials: sheep gut, various synthetic fibers and steel. Since 1798. all Pirastro strings are handmade in Germany. Euro-Unit is a general distributor of Pirastro for Croatia and Montenegro. America’s oldest, continuously family-owned & operated music string manufacturer in the world, since 1913 produces the finest strings for virtually every kind of stringed instrument. La Bella strings are used by Willie Nelson, Bryan Adams, Gilberto Gil, Tony Iommi and many others. Euro-Unit is a general distributor of La Bella for Croatia and Montenegro. Kurzweil is one of the leading manufacturers of keyboards and digital pianos in the world. It was founded in 1982 by Stevie Wonder (musician), Ray Kurzweil (innovator) and Bruce Cichowlas (software developer). Euro-Unit is authorized distributor for Kurzweil products for Croatia and Montenegro. Viscount has a long tradition and production of original Italian organs with the goal to ensure top quality products. Their organs are used in some of the most famous churches and cathedrals in the world. Euro-Unit is a Viscount Premium dealer for Croatia and Montenegro. Gator Cases is the leading manufacturer of case solutions for the music and pro audio industries, offering everything from covers, bags, lightweight cases, plastic cases, roto molded cases and ATA and Tour cases. Euro-Unit is a general distributor of Gator Cases for Croatia, Slovenia, Serbia, Bosnia and Herzegovina, Montenegro, Macedonia, Kosovo, Albania, Romania and Bulgaria. Leader in its industry, Bam Casesis offering a whole range of cases for string and wind instruments. Thanks to constant innovation, all cases are developed to provide musicians with the best combination of protection, quality and durability, while using lightweight high-tech materials. Euro-Unit is a distributor for Bam Cases products. Steinberg is a pioneer of computer-based recording and one of the world’s largest manufacturers of music and audio software and hardware with more than 30 years of experience in digital audio processing. Steinberg is mostly known for its line of products like Cubase, WaveLab, Nuendo, Dorico, VST instruments (HALion and Groove Agent), a ton of hardware such as the UR22 audio interface and CC121 controller and technologies like ASIO and VST. Euro-Unit is Steinberg Premium Dealer for Croatia and Montenegro. König & Meyer is a leading global manufacturer of music accessories mostly known for music stands, microphone and instrument stands, speaker stands, keyboard stands, seats and accessories for lighting, acccessories for stage, studio and home-recording. For more than 65 years K&M has stood for high quality products. Euro-Unit is a general distributor of König & Meyer for Croatia and Montenegro. Wittner is one of the best-known manufacturers of metronomes in the world and they also manufacture other musical accessories. Euro-Unit is an authorized dealer of Wittner products. Soundbrenner builds the world’s first wearable smart device for musicians. It’s the metronome of the 21st century. Wearable, smart and powered by vibrations. Euro-Unit is a distributor for Soundbrenner products. Alpine Hearing Protection has the best earplugs and hearing protection for musicians, music lovers, motorcyclists, divers, workers, travelers, swimmers, children and people with sleeping problems. Euro-Unit is a distributor for Alpine products. Cordial‘s product portfolio is very broad – from instrument, microphone and loudspeaker cables to multicore systems and adapters to DMX, MIDI and digital audio cables. Cordial’s products are innovative and do not just follow the latest trends, but often initiate them. Therefore, Cordial is one of the most important manufacturers in the field of audio signal and video signal distribution. Euro-Unit is a distributor of Cordial products for Croatia and Montenegro. Studiologic is an Italian manufacturer of digital musical instruments such as pianos, synthesizer, home organs, MIDI controllers and more. Euro-Unit is authorized distributor for Studiologic products for Croatia, Slovenia, Bosnia and Herzegovina, Serbia, Montenegro, Macedonia, Kosovo and Albania.